Our ‘ultra compact’ range of wall mounted passenger lifts for Masonry lift shafts have been redesigned with reduced width footprints and no rebates enabling faster and easier shaft construction saving time, money and space on site. 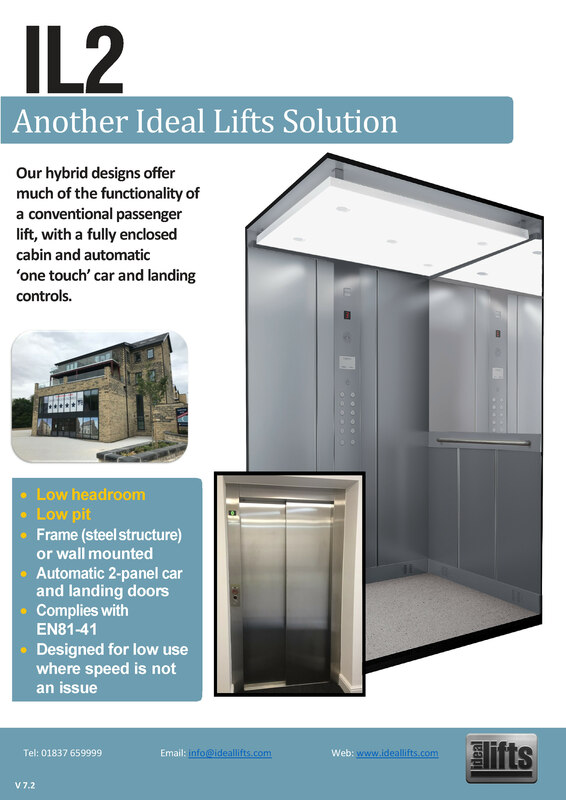 Our Eco-Drive range of lifts are designed for low-rise buildings up to 5 floors, offering cost effective passenger lift solutions with the additional option of single phase 240V electrical supply. Incredibly versatile to suit the needs of design challenges, the ultra-compact is also available in through car and adjacent landing entrances. A fully compliant EN81-20 pit depth of 1080mm can be achieved greatly assisting projects with ground works limitations. 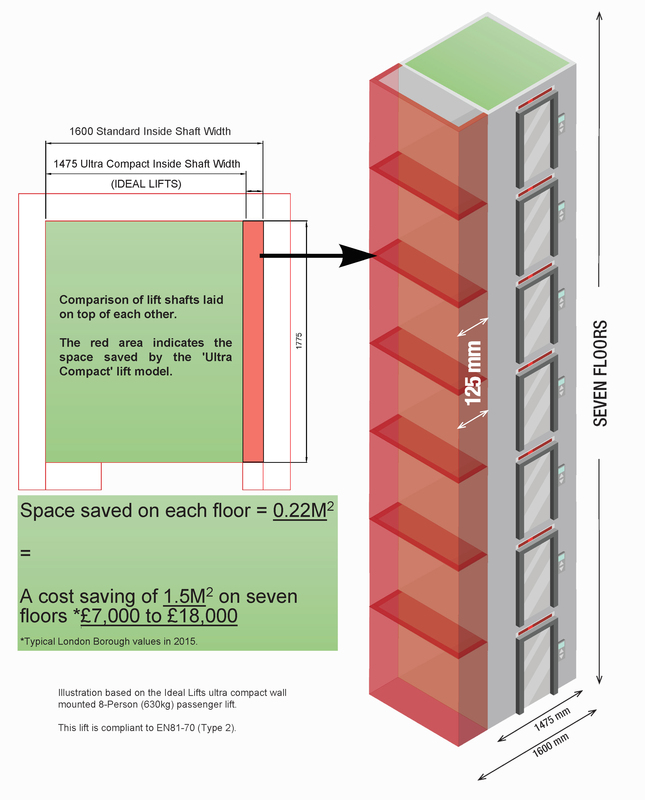 The space and cost saving illustration (below) shows how our ultra-compact model would save 1.5m2 of floor space over seven floors when compared to traditional shaft sizes. 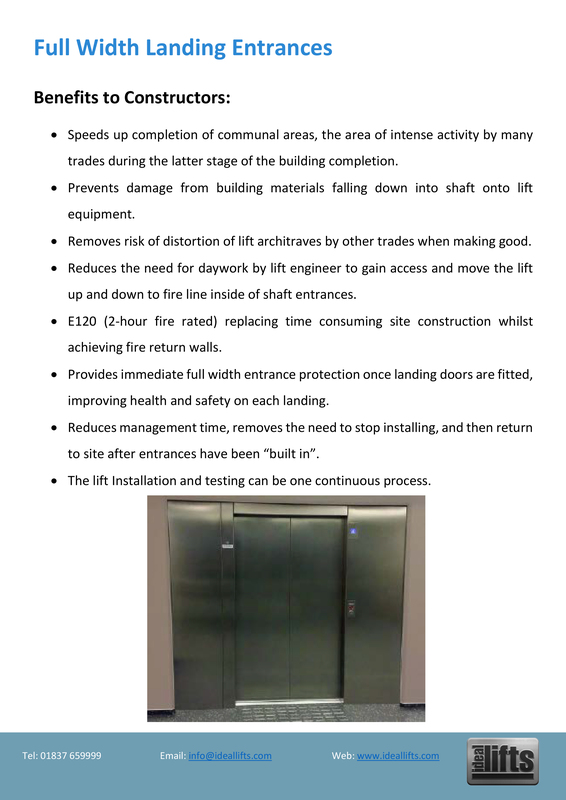 The Ideal Lifts ultra-compact wall mounted range could provide potential savings of £8,000 to £17,000* on a 7-storey building in some London Boroughs. *Typical London Borough values in 2015. 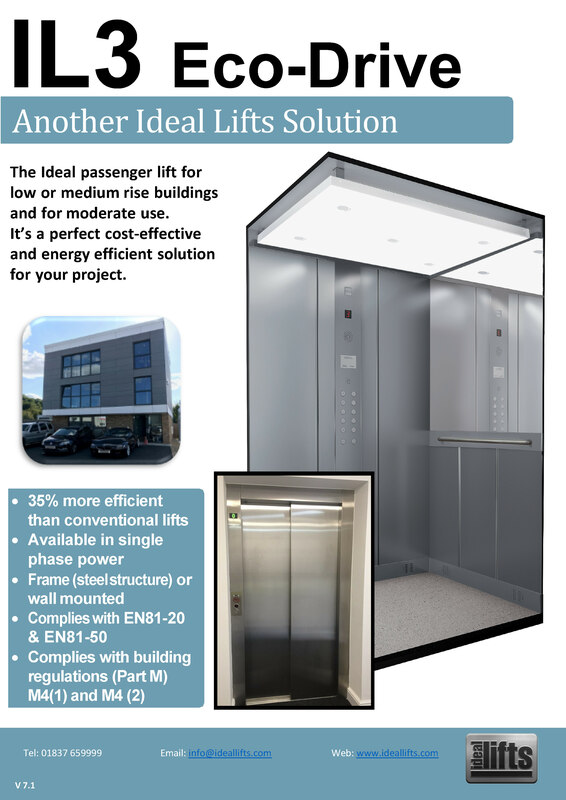 The IL3 Eco-Drive motor room-less (MRL) gearless traction drive passenger lift is ideal for low or medium rise buildings and for moderate use. 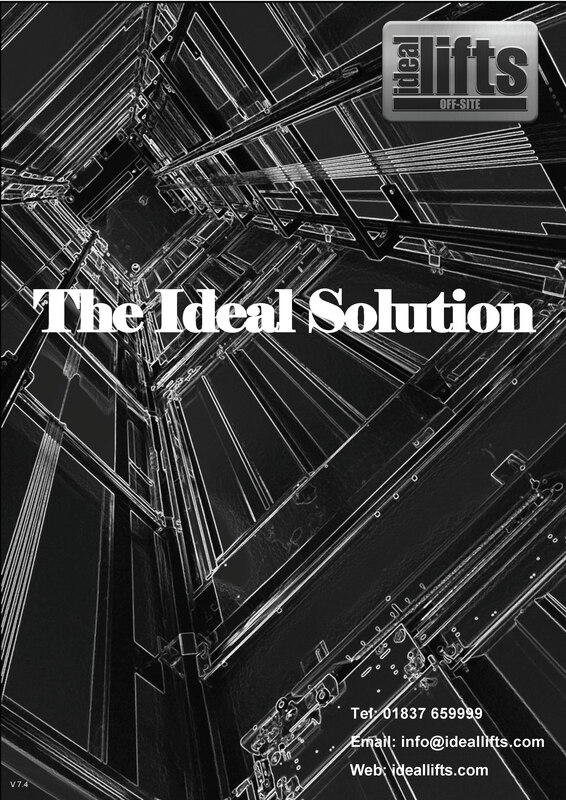 It’s a perfect cost-effective and energy efficient solution for your project. Our IL3 ensures a smooth safe ride with low noise, using 35% less electricity and can achieve 2 BREEAM credits. 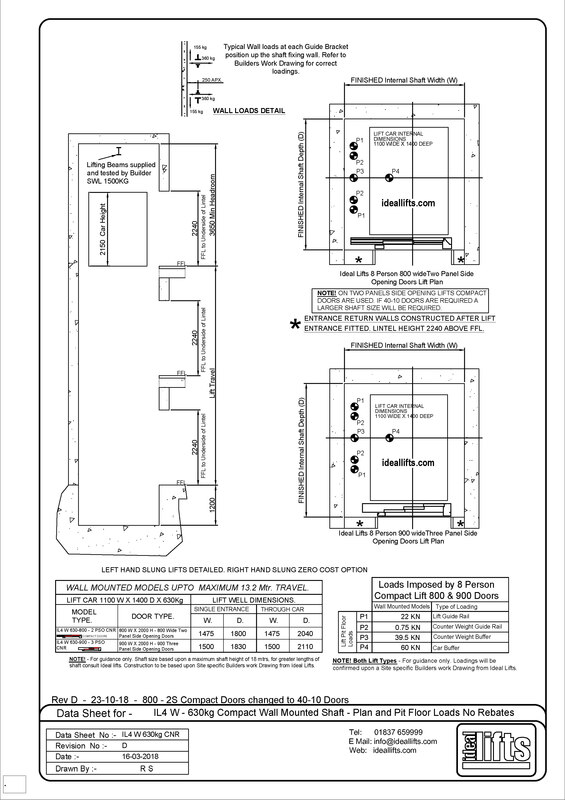 A low EN81-20 compliant pit depth can be provided reducing material and construction costs. 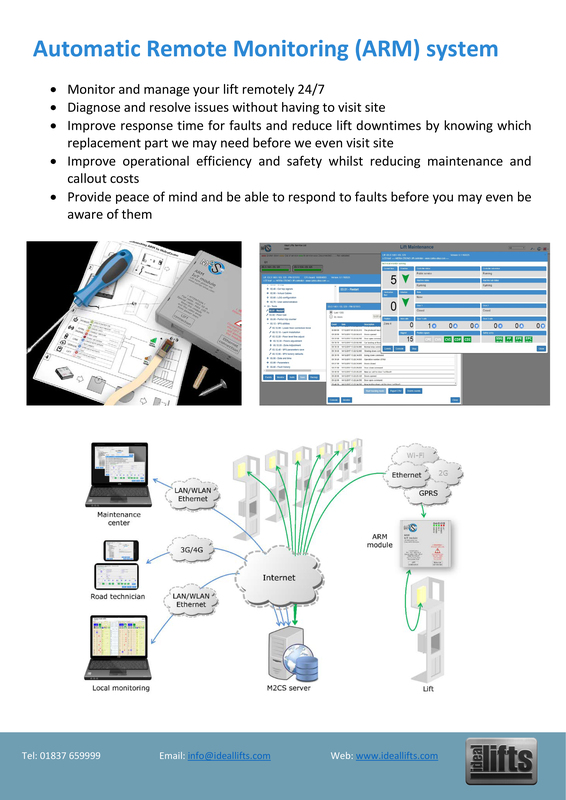 Our advanced 24/7 Automatic Response Monitoring (ARM) system provides building owners, managers and users additional confidence and peace of mind. The IL2 hybrid designs offer much of the functionality of a conventional passenger lift, with a fully enclosed cabin and automatic ‘one touch’ car and landing controls. Automatic 2 panel sliding car and landing doors are included as standard. The IL2 is designed to fit in a greatly reduced pit and only requires minimum headroom. In keeping with EN81-41 the IL2 has a drive system designed for low use where speed is not an issue. With a plethora of benefits to constructors our full width landing entrances can offer an alternative to time-consuming, costly and messy finishing on site. During construction, communal areas, such as landing hallways, are often completed towards the end of the programme. By reducing associated works by the contractor, full width entrances contribute to the earlier completion and handover of the building. 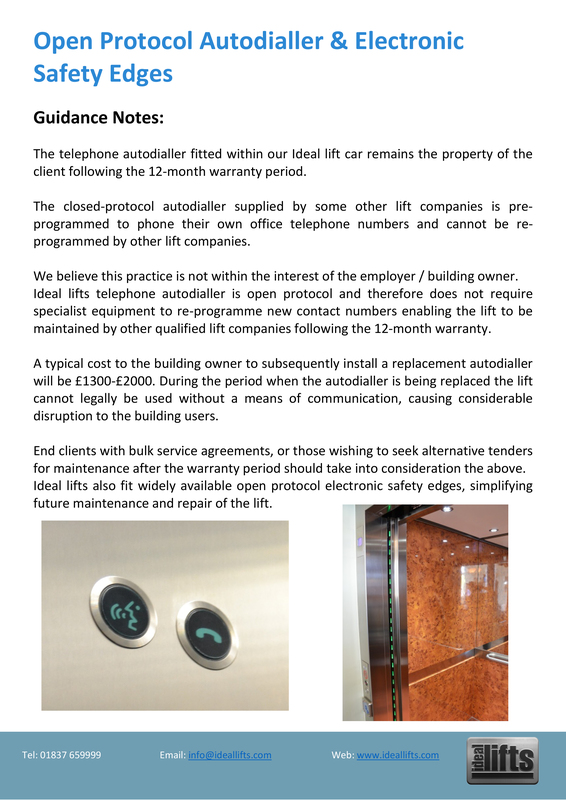 Ideal Lifts install only open protocol products, parts and components and therefore your machine will not require specialist equipment, obtainable only through us, to enable the lift to be maintained by other qualified lift companies. An optional extra available for when communication connections are an issue. 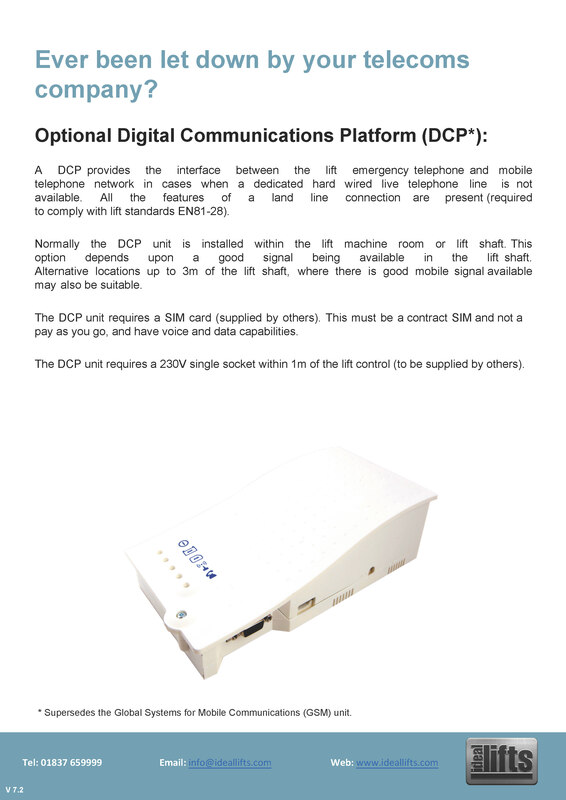 The Digital Communications Platform (DCP) unit provides the interface between the lift emergency telephone and mobile telephone network in cases when a dedicated hard wired live telephone is not available. EN81-70 and Part M of the Building Regulations cover accessibility in passenger lift design, further information can be found in our Accessibility guidelines. No Three-Phase power supply? No problem! We have a range of single-phase passenger lifts to suit your needs. 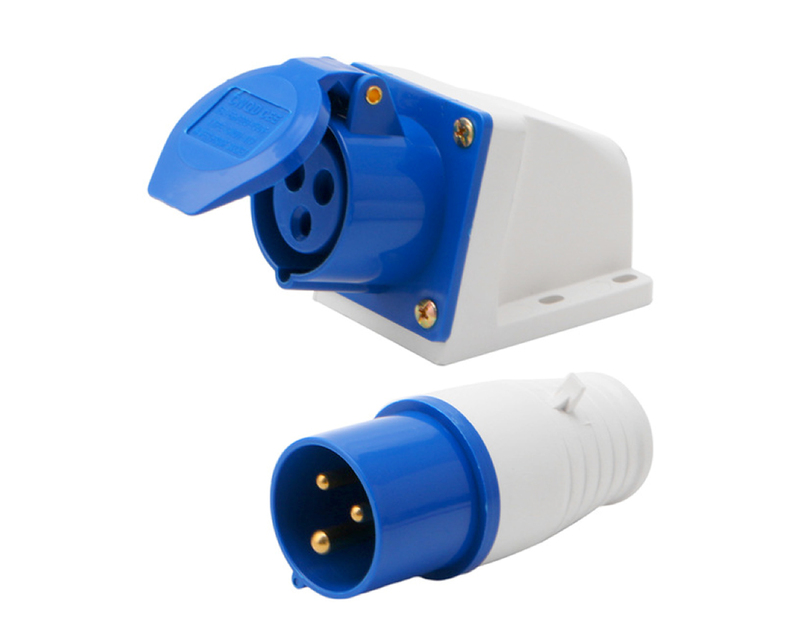 Call us to discuss your requirements.